Comprising all new material recorded over the past 2 years, and made using similar technology and tekkers as his ‘80s classics, Leon’s sequel finds him riff deeper on the cosmic lore of Mali’s Dogon tribe of Mali, whose exhibition of art at the Brooklyn Museum in 1973 first inspired him to make ‘Nommos’; a visionary piece of NYC’s new wave/downtown puzzle released by John Fahey’s Takoma, which has re-emerged among the most crucial, revelatory reissues of this decade via everywhere from Volcanic Tongue to Superior Viaduct, and RVNG Intl’s deluxe ‘Anthology of Interplanetary Folk Music Vol.2’. 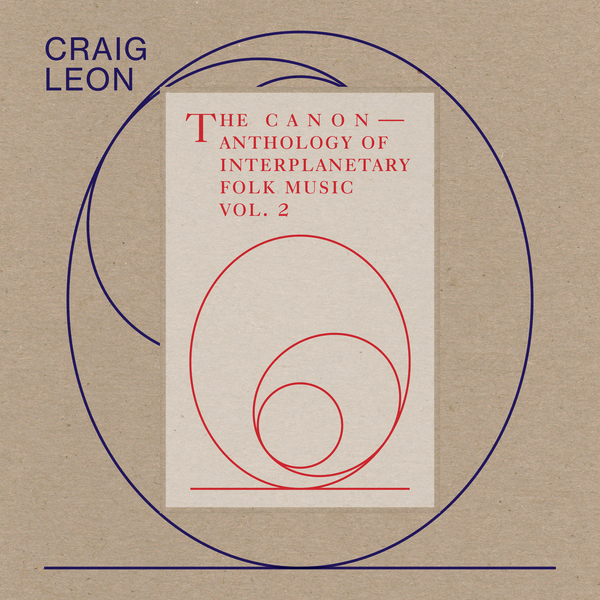 ‘The Canon’ leads directly on from ‘Nommos’ and ‘Visitation’, tracing the alien knowledge/arithmetic/energy’s journey from Mali to Egypt and Greece in a narrative arc that unfolds like a map for inner exploration, coursing from the ceremonial chorale of ‘The Earliest Trace’ thru glyphic drum communications in ‘The Respondent in Dispute’, and the panoramic beauty of ‘Four Floods of the Point’, before opening the tantalising wormhole of ‘The Gates Made Plain’, and atomically diffusing into ether with ‘Departure’. Including contributions from folk sorceress Cassell Webb and apparently even John Malkovich in there, somewhere, the results are worth the wait for any believers who look for signs in the skies.